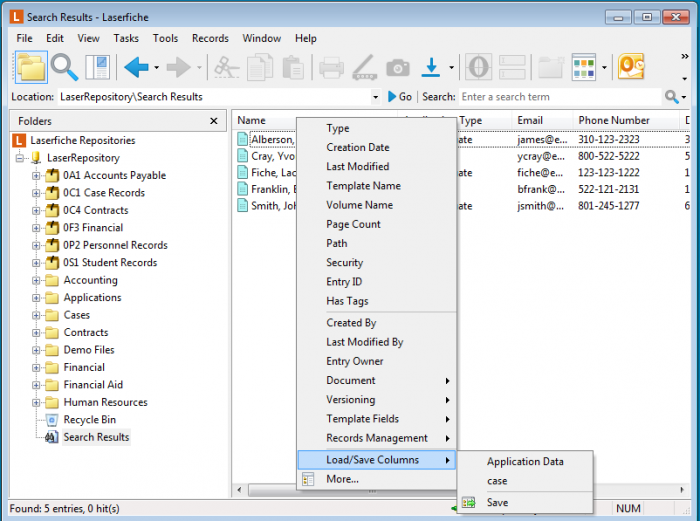 The Windows and web clients, and server form the core of Laserfiche. 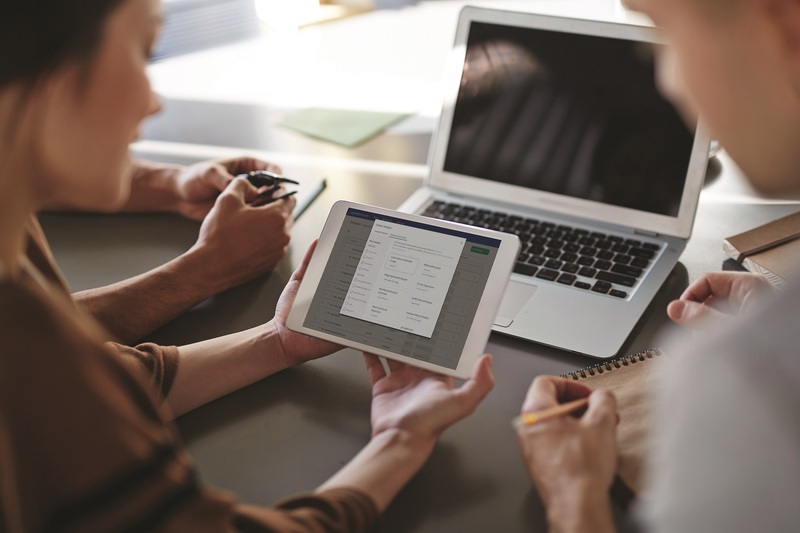 Here are some creative ways to augment the Laserfiche experience with custom shortcuts and column profiles, annotations and templates. 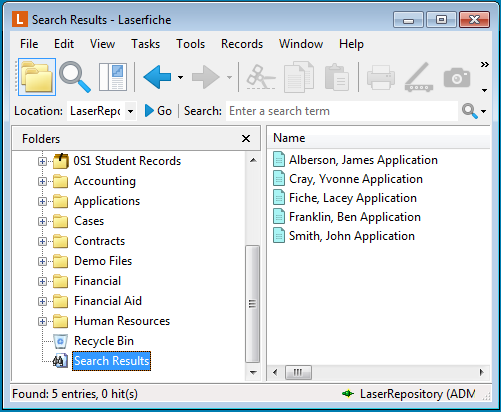 It is possible to create a Laserfiche Windows client shortcut that will automatically run a specific search query or open a particular repository, folder or document within Laserfiche. Example: The duties of an admissions clerk in the admissions department of a university include reviewing new graduate and undergraduate applications. These applications all have the Needs Review tag assigned to them. The clerk may want to create a shortcut on the desktop that automatically launches Laserfiche and performs the search for all new applications that need review. In order to create this shortcut, the clerk uses the -W, -L”RepositoryName” and –S”SearchQuery” command line parameters. 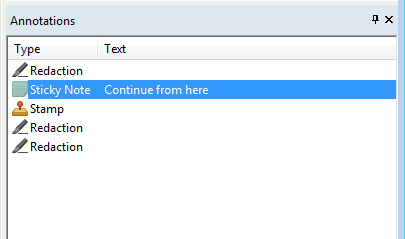 The search query must be written in advanced search syntax, which can be generated by running a search in the Laserfiche Windows client and enabling the Advanced Search option. 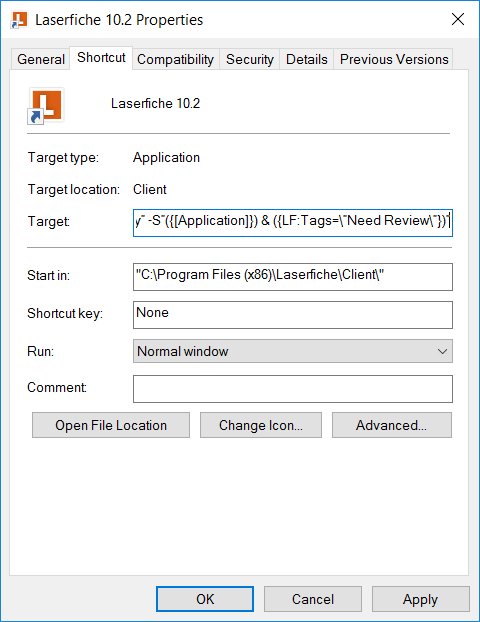 Since it is a best practice to log into Laserfiche with Windows Authentication, the clerk needs the -W parameter in addition to the -L and -S parameters. Keep in mind that quotation marks in command line parameters need to be escaped with a backslash before each quotation mark. Double-clicking on the shortcut will automatically open Laserfiche and run the specified search. Laserfiche allows customization of the column display for each folder by creating and saving column profiles. Once created, a user can switch between them quickly. Example: The admissions clerk would like to quickly sort the college applications by major in order to simplify the review process. Sometimes she needs to contact an applicant to clarify something in his or her application. In this case, she’d like to view the contact information quickly. The clerk can create two column profiles—one that lists the application type and major and the other that lists contact information—and switch between them as the need arises. To create a column profile, the clerk opens the pending applications folder, right-clicks anywhere in the column headers and selects More. Some of the columns are already checked. The clerk scrolls down the list and unchecks the columns that she doesn’t want, and checks the columns that she wants to view. 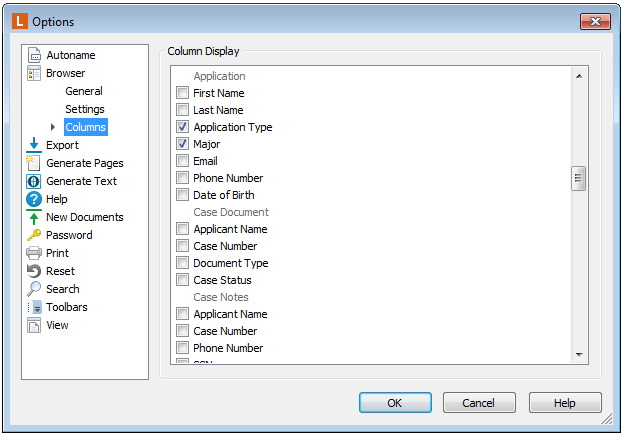 To save this column profile, the clerk right-clicks in the column header and selects Load/Save Columns – Save. Once the clerk names the profile and clicks OK, it is saved. The clerk can create a second column profile by following the same directions, with this one showing the contact information for the various students. After saving it, she’ll be able to quickly switch between column views by right-clicking in the column headers and selecting Load/Save Columns along with the profile name. With Laserfiche it is possible to use tokens to create dynamic stamps, include hyperlinks in sticky notes and quickly locate annotations within a multi-page document. 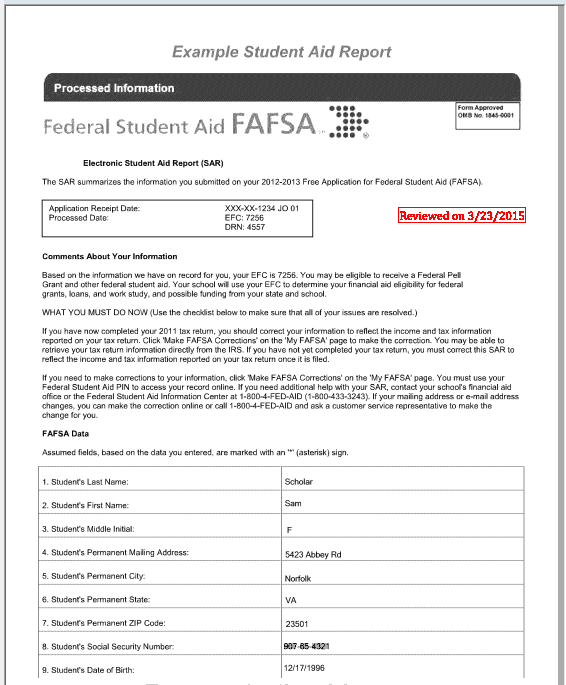 As part of the application review process, the admissions clerk must stamp the first page with a stamp that shows the application was reviewed on the current date. Here is how to create this kind of dynamic stamp. 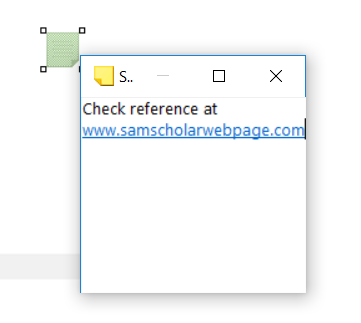 Open the application in Laserfiche and navigate to the Annotations – stamp – more menu. Click on Add and select Create Custom Stamp. Give the stamp a name such as Reviewed Today that will make it easy to remember. Type in the stamp text: “Reviewed on ” and then click the little arrow to select the Date token. Select the font, size and whether this should be a public, personal or single use stamp. Back in the Stamp Manager, select the color, click Apply Stamp and then click on the place in the document where the stamp should appear. Next time the clerk wants to use the stamp, she can simply select it from the Stamp menu. During the review of an application, the clerk wants to note down a website that has more information about an applicant. Once she starts typing the URL inside of a sticky note, the hyperlink is be created automatically. While reading through a multi-page application essay, the clerk is called to a department meeting. She wants to quickly save her spot so that she can come back to that page later. The clerk can do that by placing a sticky note on the current page. When she comes back from the meeting, the clerk opens the Annotations Pane and double-clicks on and the sticky note. The document opens to the correct page. In order to prevent scanner operators from having to manually select a template each time they scan content into Laserfiche, an administrator can specify a default template. 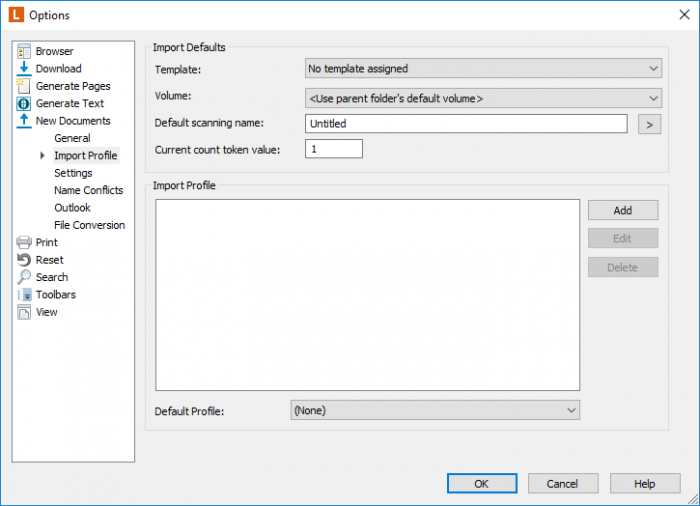 To set a default template, simply navigate to Tools – Options – New Documents – Import Profile and select the template in the Import Defaults section. It is also possible to use the parent folder’s template. In order to simplify the process of manually filling out metadata, a user can add the %(Parent) token inside a field to automatically pull information from the parent folder’s template. Example: Once a graduate or undergraduate application is reviewed, it is moved to the Student Records folder where a subfolder is created for each applicant. 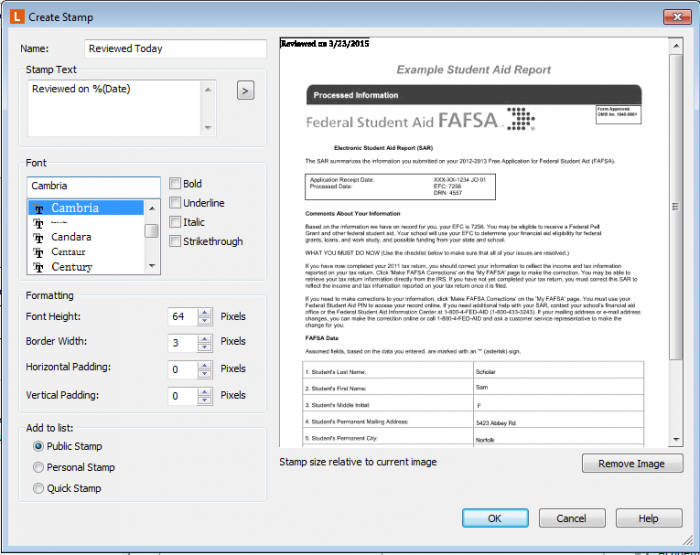 A student ID is then automatically generated and inserted in the folder’s Student ID field. In order to simplify populating the student ID in the application document’s template, the clerk can set the default value of this field to the %(Parent) token. This way, and the next time the clerk views the document’s metadata, it will be filled with the student ID pulled from the folder’s template.